We are superior Touch Panel Manufacturer in Taiwan, providing Touch Panel, LCD Touch Panel, 4 Wire Touch Panel, Analog Resistive Touch Panel, etc. The product of Super Elite. Automobile Touch Panel, it is highly above 100 cycles for Thermal shock -40℃~ 110℃ testing. Custom-design is available. We could design touch panel by different material matches for customer's request and price depends on material. 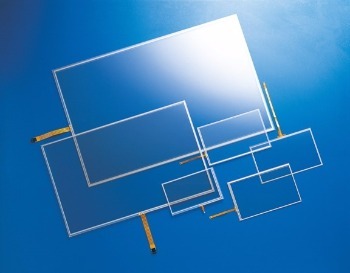 We provide many kinds of touch panel in many different size, please contact us if you are interested. Electric Typewriter, Word Processor, Copier, Time Clock and Test Sticker Machine. Net TV, Internet Game Console, STB, ISDN Telephone, FAX Machine, LED Panel , Voice Recorder, Pager and Smart Phone. Portable LCD TV, Video Recorder, AV equipment and Remote Controller. Electric Piano, Palm Gamer and Language Learning Machine. Calculator, Electric Clock, Camera, Translator, Electric Manual, Palm PC, PDA, MP3, Player, Wearable PC and Web Pad. Electric Blood Meter, Electric Thermometer and Electric Scale. Electric multimeter, logical analyzer, sound meter, light meter and thermograph. DVD of GPS (GLOBAL POSITIONING SYSTEM) multimedia host for Automobile.